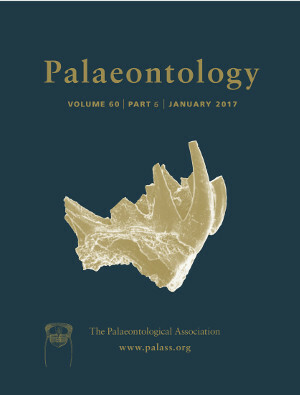 The Eocene perissodactyl family Palaeotheriidae has traditionally been considered to be a nearly endemic European group within Equoidea, but a few palaeotheres have been reported from Asia. Here, I reanalyse a maxilla containing M1–3 from the Lunan Basin, Yunnan Province, China. This element was initially assigned to a new tapiromorph species, Lophialetes yunnanensis, but is here placed in a new genus Lophiohippus within Pachynolophinae based mainly on the absence of mesostyles, the strongly oblique metalophs, the strong development of lophodonty, parastyles overlapping metastyles of preceding teeth and situated mesial to the paracone, and the fact that M3 is longer than wide and has a large and buccally deflected metastyle. Lophiohippus differs from European Anchilophus and Paranchilophus in that the parastyles are situated mesial or even slightly lingual, rather than mesiobuccal, to the paracones, and M3 is markedly relatively larger than M1. I further reanalyse Qianohippus magicus from the Shinao Basin of Guizhou Province, China, in which the complete dentition is known. Qianohippus is characterized by a molariform P2 and non‐molariform P3–4; a relatively high degree of lophodonty; the absence of mesostyles; an angular bending in the protoloph on P3‐M3 and the metaloph on M1–3 at the paraconule and metaconule, respectively; and weakly developed ‘metastylid’ on the lower cheek teeth. A cladistic analysis supports a close relationship between Lophiohippus yunnanensis and Paranchilophus, and suggests that Qianohippus is closely related to some derived pachynolophs. The appearance of the pachynolophins Lophiohippus and Qianohippus in China supports the existence of a biogeographical connection between Europe and Asia in the Middle‐Late Eocene, and the dispersal route was probably along the Tethyan microcontinents in the south.